Did you know that as the temperature rises and our diet heads out the window, we’re increasing our risk of kidney stones? It’s true! During those warmer summer months, there is an increase of kidney stones, and it can completely ruin your summer. Kidney stones are a result of dissolved minerals accumulating in the lining of the kidneys. They are based on a compound called calcium oxalate, and they can be sharp, painful, and grow in size. When small, kidney stones can pass through the urinary tract. But once they grow in size, this process can be near impossible and medical intervention may be required. A quick and easy way to prevent kidney stones is to drink plenty of water. Kidney stones typically form in those who do not consume a sufficient amount of water. Additionally, people with Crohn’s disease or frequent urinary tract infections can be more prone to developing kidney stones. You’re out and about, enjoying yourself, and you probably aren’t staying hydrated. Not only should you be stocking up on fluid to prevent heat stroke, but adequate hydration can also prevent kidney stones. 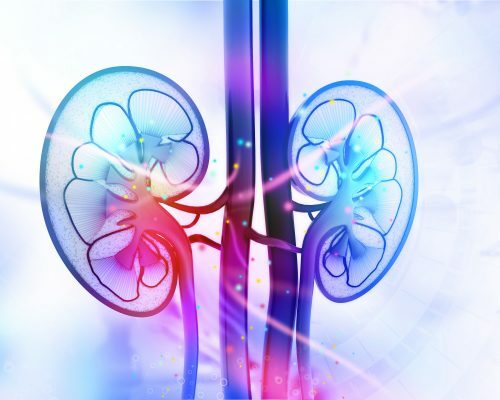 Although refined sugars, salt, and animal protein can also be tied to kidney stones, dehydration in the summer months is the number one culprit. An easy way to tell if you’re drinking enough is how much you’re outputting. The Mayo Clinic suggests you should release 1.5 to 2.5 liters a day, and you should notice you’re urinating every couple of hours. So if it’s pushing near noon and you haven’t used the facilities yet, you’re most likely dehydrated. But not just any liquid will do. In fact, in the South, where people frequently drink high amounts of iced tea, there is an increase in kidney stone rates. A good swap for this is lemonade – but keep it homemade! Store-bought lemonade can have lots of added sugar that you don’t need. Sometimes, when the kidney stone is quite small, it can pass with ease and you’ll never know you had one. But next time it develops, it can change with a vengeance! Here are some symptoms that may indicate you have kidney stones. When pain and nausea become severe it is recommended to visit a doctor. If you want to continue enjoying the summertime and not end up in excruciating pain, drink up and stay hydrated! Kidney stones can really spoil your summer.